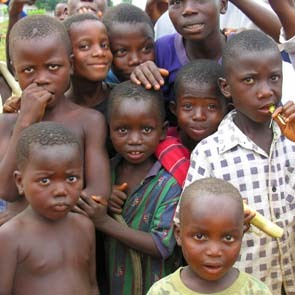 The Liberian Education Trust (LET) was established to support the restoration of basic education in Liberia. Unfortunately, seventy percent of the population in the country is illiterate. Most schools throughout the country were destroyed during the conflicts, and during that time many teachers fled or were killed. Few children of any age have received any education over the 14 years of wars and the small numbers of schools which have been re-opened since the end of the conflicts are overcrowded. Less than half of the school age children living in Liberia are enrolled in school and most teachers are working as volunteers. Girls face a particularly difficult challenge in enrolling in school and staying there. There is a historic family preference to send boys to school, and girls who do go to school face the well-documented and pervasive practice of sexual and labor exploitation by male teachers who dominate the teaching profession. The drop out rate among girls is high and teenage pregnancy is all too common; additionally, the HIV-AIDS rate is rising. The Liberian Education Trust is directed by its President, Dr. Deborah Harding. An Advisory Board composed of U.S.-based corporate, academic, legal, and philanthropic professionals raise funds and make grant decisions. Located in Washington, D.C., LET has been set up to operate with minimal overhead costs so that funds raised go to programs to the fullest extent possible. The president and the advisory board of LET are giving their time at no cost. LET has established a small locally registered Non-Governmental Organization (NGO) in Liberia, LET-Monrovia which will be positioned to take over fully from LET-DC in three years. LET has tax-exempt status as a project of the AllAfrica Foundation, a U.S. public charity, that focuses public attention on critical issues of African development. All contributions to LET are tax deductible to the fullest extent allowed by federal law. Dr. Deborah Harding worked for roughly half her career in Africa on grass roots development and half her career in philanthropy. She spent a decade at the German Marshall Fund of the US, and then joined George Soros as vice president of his foundation where she managed some $500 million in grants annually to his 28 national foundations in Eastern Europe. She retired in March 2005. The original advisory board of U.S.-based professionals is chaired by Robert Sirleaf, son of President Sirleaf and Managing Director of Wachovia. Other members in addition to Deborah Harding include Dr. Allida Black, editor of the Eleanor Roosevelt Papers at George Washington University; Dr. Julianne Malveaux, economist and author; and Judy Slotkin, a New York-based corporate director and non-profit trustee.